In late August I introduced you to Sue from peachface – an all-natural and nurturing skin/body care range designed for the delightful teens and tweens in your life. Sue generously sent some products for me to get my eager testing hands on. 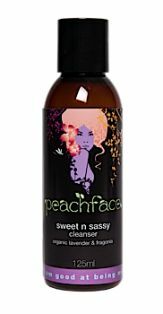 Now, I may not be a teen or tween but that needn’t matter, peachface is suitable for all ages and that gets my nod of approval. A gentle and pleasant smelling cream cleanser which removes all the days grit and grim with a few simple steps – dampen you skin, apply a small amount into your palms and add a touch of water. Massage into your face, paying attention to areas of more oil. Using a soft wash cloth, rinse well with warm water and enjoy your freshly beautiful skin. Frequent use of this little pot and you’re on your way to soft and glowing skin. Many facial scrubs contain harsh ingredients which can scratch delicate, young skin – this does not. It’s gentle enough to use a couple of times a week and contains nourishing ingredients to help combat moisture loose. Skin feels very smooth after use and not at all worn and battered. Lovely name – lovely moisturiser! This is perfect for those not requiring a lot of moisture, it’s light and sinks in amazingly fast – you’re left with happy facial skin that doesn’t feel greasy. It also has a good array of ingredients, from hydrating coconut oil to antibacterial honey and my favourite rose oil for a divinely scented cream. I adore lip balms and am always on the lookout for trying new ones – I am most impressed with this one. It has a light texture yet provides lips with enough moisture to starve off the dreaded dry-lipped feeling. One of the beautiful things about peachface is the dedication in encouraging teens and tweens to love and accept themselves as who they are. 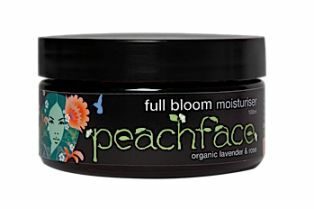 The peachface website provides a wealth of knowledge on how to look after your skin in the simplest of ways and there’s a handy blog which provides informative information. 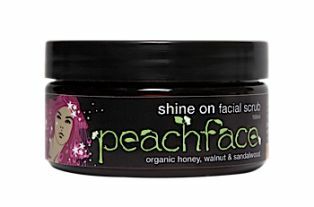 peachface is also proudly Australian made and owned, and use certified organic ingredients wherever possible.